Replace the Sugar in Your Favorite Recipes with These Sweet Ideas! Sugar is in just about everything! It is as addictive to the brain as cocaine. Food manufacturers count on it – that is why you even find it in store-bought soup. Unfortunately, it is extremely inflammatory to the body, along with a multitude of other negative effects sugar has on your health. An excellent book to read about sugar is called Lick the Sugar Habit, by Nancy Appleton. Our offices have a copy of this book if you are interested. There are several good alternatives for baking or other recipes you use that call for sugar. Even natural sweeteners can be too much for the body, but for special occasions, a natural sweetener is much better for you. Honey and Grade B maple syrup are a good substitute for liquid equivalents in recipes. They can be substituted for dry sugar as well, just know that it may change the texture a little bit. Raw agave nectar can be another good choice, if chosen carefully; it is often highly processed. Look for dark, raw agave. Wilderness Family Naturals makes a raw agave that we recommend and sell at the Well. Whole leaf stevia concentrate is another sugar alternative. Avoid any stevia with natural flavors, additives, or in powdered form – these are highly processed. SweetLeaf brand provides a variety of stevia that is concentrated from the whole leaf, with no additives. Look for this product in the nutritional supplement aisle, rather than with other stevia sweetener products. Coconut palm sugar is used as an equal exchange for sugar in recipes. It has a milder sweetness that has a flavor profile similar to brown sugar, and most recipes will not be affected when you substitute with it. Fruit or fruit juice can also be used as an alternative sweetener (be sure this is 100% juice, without any added sugar). Here are some measurement conversions to help you. Maple syrup: In baking, replace 1 cup of white sugar with 3/4 cup of maple syrup, and reduce by 3 tablespoons the other liquid content in the recipe for every cup of maple syrup used. Because maple syrup is brown and granulated sugar is white, this replacement will darken your baked goods and cause them to brown quicker. Honey: Use equal amounts of honey for sugar, up to one cup. Over one cup, replace each cup of sugar with 2/3 to 3/4 cup honey, depending upon the sweetness desired. Lower the baking temperature by 25 degrees and watch your time carefully, since products with honey brown faster. Fruit juice: Substitute two parts fruit concentrate for every three parts of sugar called for in a recipe. For example, if 1 cup of sugar is called for, use 2/3 of a cup of concentrate instead. To make up for the increased moisture of a concentrate, reduce another liquid in the recipe. For example, if using 2/3 cup of fruit concentrate to replace sugar, reduce the milk or egg whites by 3 tablespoons. Stevia: For 1 cup of sugar, use 1 teaspoon of liquid stevia. For 1 tablespoon of sugar, use six to nine drops of liquid stevia. For 1 teaspoon of sugar, use two to four drops of liquid stevia. Mix according to recipe instructions. Use an ingredient to replace the bulk of the sugar in the recipe. 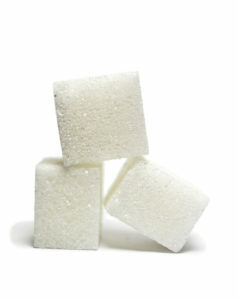 For every cup of sugar that is replaced by stevia, add 1/3 cup of the bulk ingredient to the recipe. You will need to do this because you use stevia in a much smaller amount compared to sugar. Good options to add bulk include yogurt, unsweetened applesauce, egg whites, fruit juice, fruit puree, or water. Keep in mind that sugar can add up in coffee and tea as well! Any of the above options can be substituted in these kinds of beverages. Drinks with sugars already added to them should be avoided. Have fun converting some of your favorite recipes to healthier ones! Remember, eating well doesn’t have to be boring! Christa is an Associate Clinician at the Well of Life Center for Natural Health. The Well of Life Center is a holistic wellness center that specializes in nutrition, chiropractic, massage services, and more. Celebrating their 11th year in business, the Well of Life Center has locations in Doylestown and Bethlehem PA. For more information, please visit welloflifecenter.com.